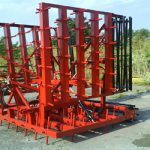 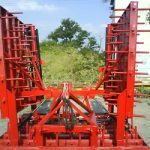 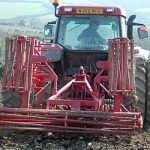 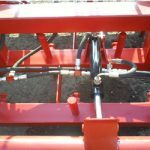 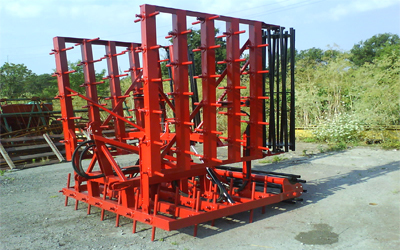 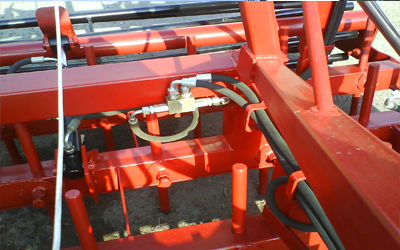 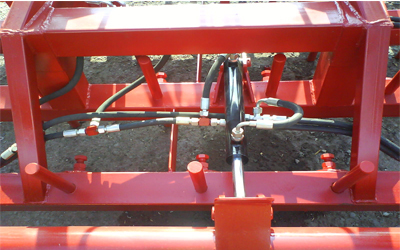 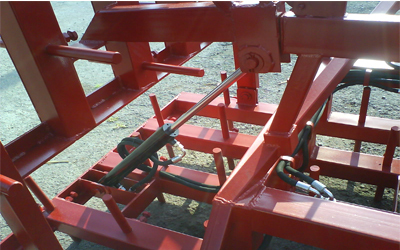 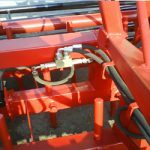 This is a new machine designed to attach to the front of a tractor when using a power harrow / drill combination. 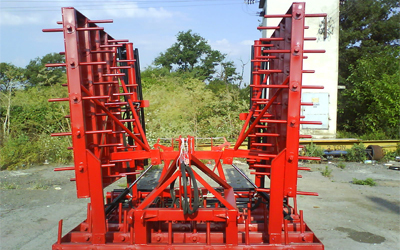 This machine was developed with the help of a customer who wanted to increase forward speed to achieve better output from their 3 meters machine. 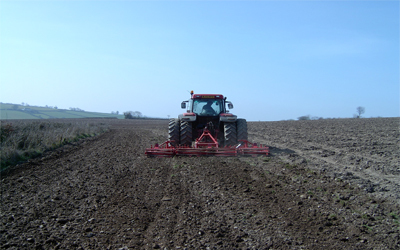 Initial trials this spring were very favorable to the machine when forward speeds of 8 plus km/ h were achieved. 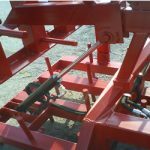 This addition increased the output with the 3 meters drilling rig by a further 60% surpassing the normal output from a 4 meters power harrow drill outfit. 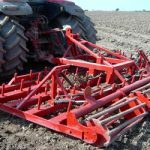 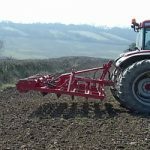 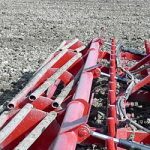 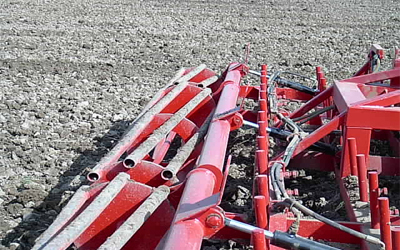 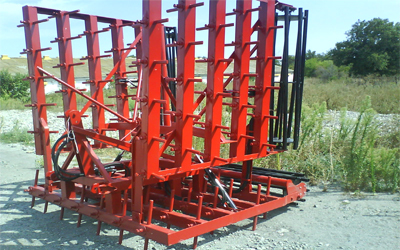 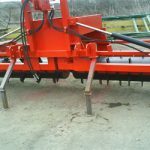 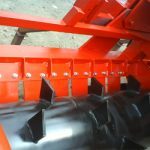 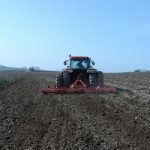 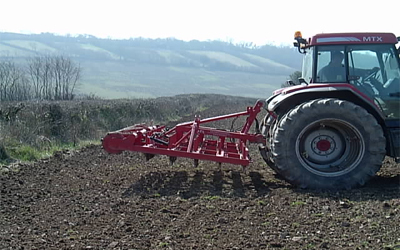 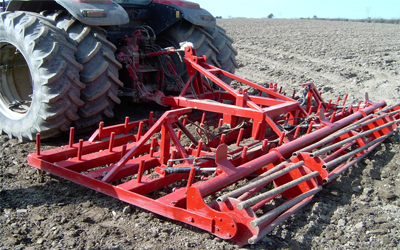 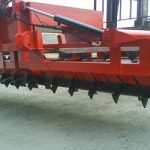 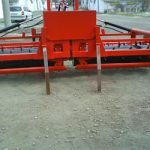 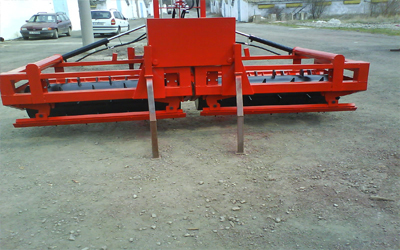 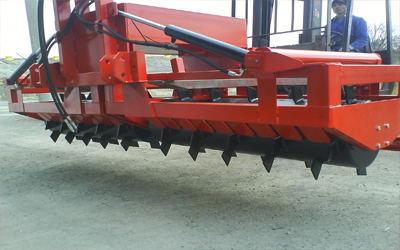 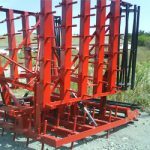 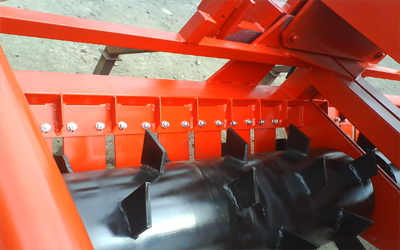 The general idea is to prepare the soil by leveling and rolling in front of the power harrow. 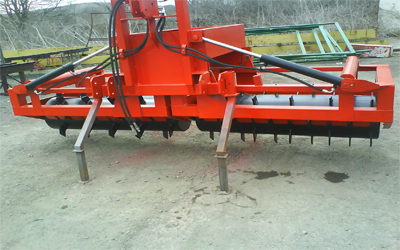 The teeth on the roller are made from high carbon steel, as are the scraper blades. 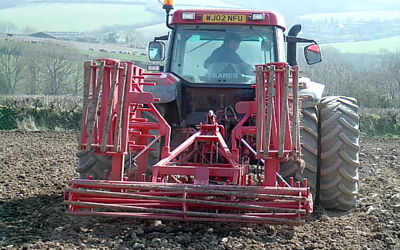 Agribiz Ltd. All rights reserved.